Writer-director Tom Edmunds makes an impressive feature debut with this hilarious British black comedy about a suicidal young man who hires a hitman to do the job for him. With a perfectly struck tone that recalls the work of the Coen Brothers, this is a deliciously dark treat with a surprisingly warm heart. Aneurin Barnard (Dunkirk) plays William, a suicidal writer who's so bad at killing himself that he decides to outsource the job to a professional. Enter Leslie (Tom Wilkinson), an ageing hitman who's facing enforced retirement if he doesn't meet the strict quota set by the British Guild of Assassins. 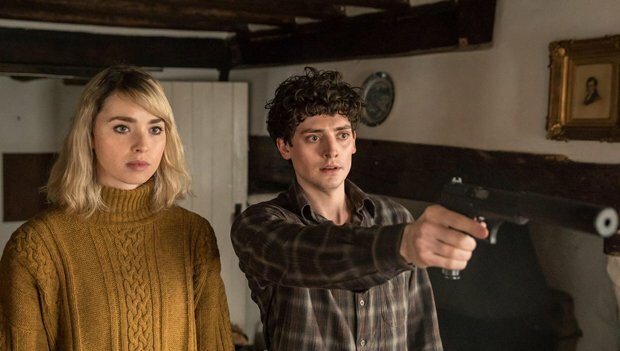 The pair come to a mutually satisfying agreement and Leslie prepares to do the job — but William changes his mind after meeting Ellie (Freya Mavor), an editor who wants to publish his book. Hitman comedies can be somewhat hit-and-miss as a genre (pun intended), but Edmunds distinguishes the film by nailing a delightfully unique tone, whereby everybody is unfailingly polite, well-spoken and courteous to each other – at least until Harvey (Christopher Eccleston), the sweary boss of the Guild appears, upping the stakes in the process. In addition, the relationships are beautifully observed, particularly that of Leslie and his wife Penny (played by the wonderful Marion Bailey), which is utterly charming and full of surprises. Edmunds' script is packed with laugh-out-loud moments, ranging from witty dialogue to inspired visual gags, but it's also unexpectedly touching and takes its premise seriously rather than using it as a jumping off point for tasteless jokes. On top of that, the performances are a joy, with Wilkinson on career-best form, Barnard striking an appealing rapport with Mavor and Bailey effortlessly stealing every scene she's in. An accomplished and very funny British debut that marks out Edmunds as a serious talent to watch. General release from Fri 16 Nov.